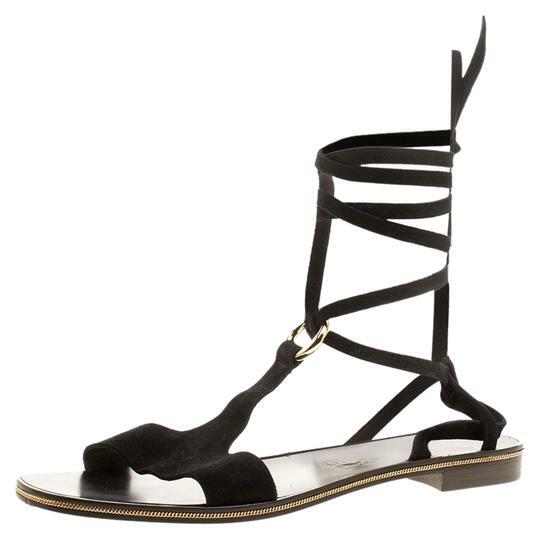 Catch everyone's glances with these gladiator sandals from Salvatore Ferragamo. 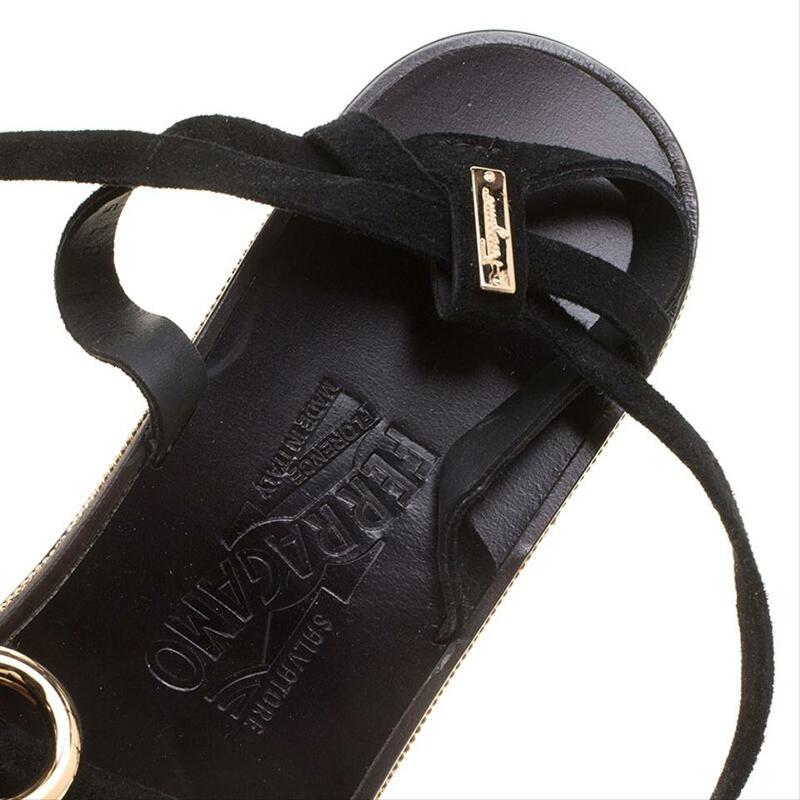 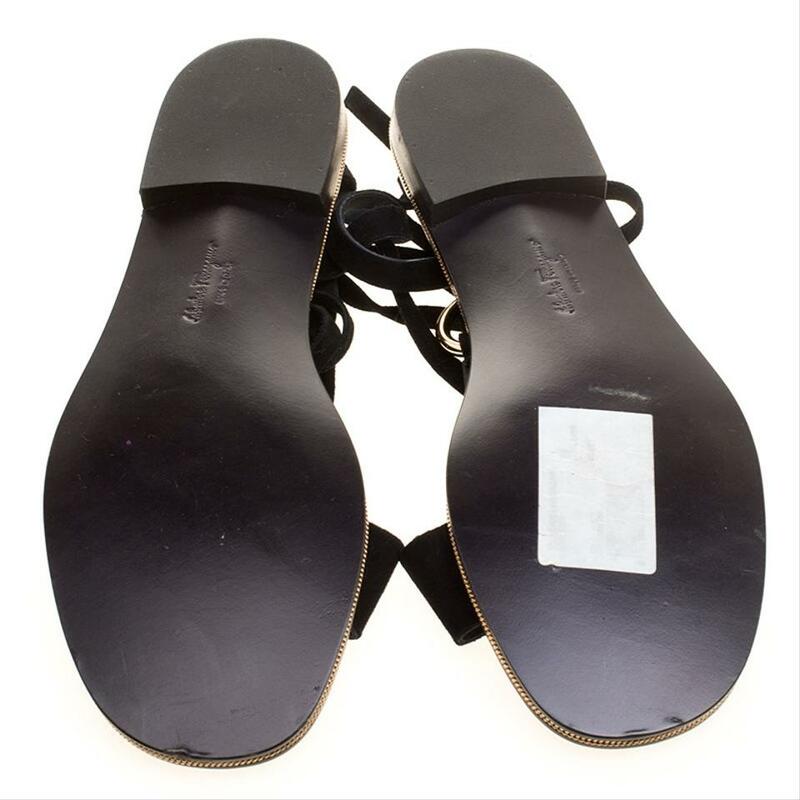 They've been wonderfully crafted from suede and styled with open toes, gold-tone hardware, and ankle wraps. 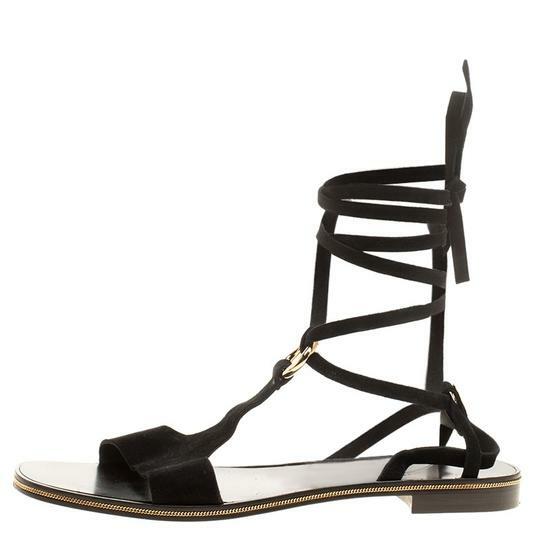 They'll look great with casual wear.